The cup was found in Benjamin’s sack but his brothers admitted their guilt. They seem to have done nothing wrong. Indeed, they were innocent of this crime but they knew themselves to be guilty of even larger sins before God. Their guilt about what they had done to Joseph may have been on their minds. Soon enough, Joseph would free them from even that offense. This is the story of the gospel. We are all guilty before God. An hour is coming when we will all face judgment. Everyone will have to answer the charges against them. Those who have done the good thing, as Joseph’s brothers did, by confessing their sin and their need of the Savior, will be raised to eternal life. For there is “no condemnation for those who are in Christ Jesus.” This is how we walk according to the Spirit. We confess that we are poor sinners in this weak flesh of ours. Yet, we set our minds on the Spirit and know his peace. Though we are dead in this sinful flesh, we are alive in the Spirit because of the righteousness of Christ. 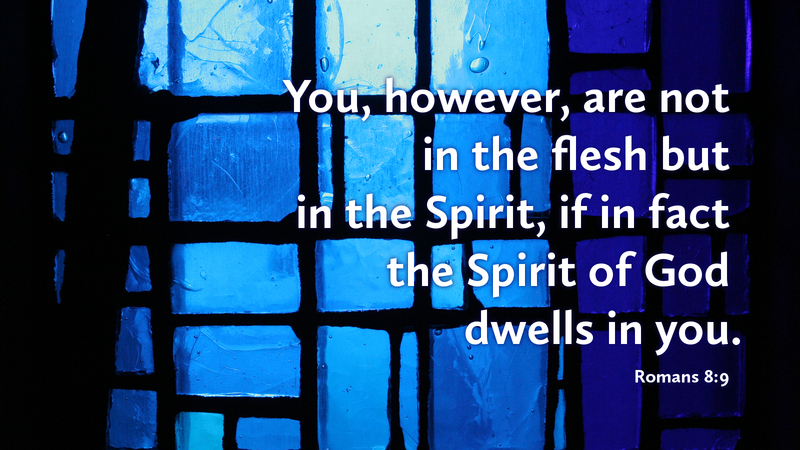 If Christ is in us, his Spirit gives us life. Prayer: Lord, give me strength to focus on the things of your Spirit. Amen.